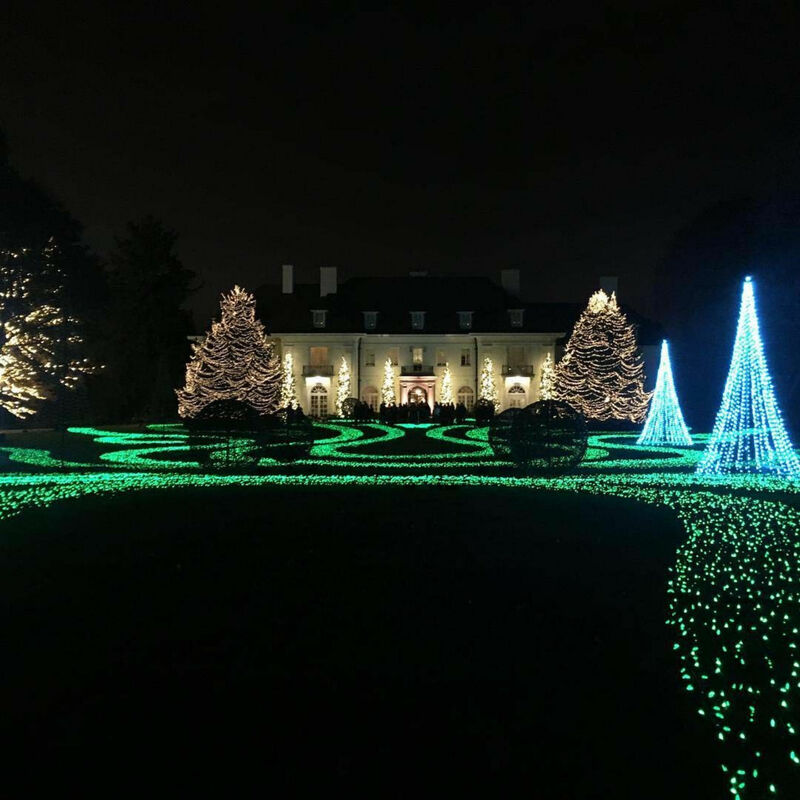 Amidst the cold white blanket of snow covering Indiana during the winter months, you’ll find a dazzling display of lights at Newfields, in the gardens of the Indianapolis Museum of Art (IMA). The display opened November 19th and runs through January 8, 2018. This is not just any ordinary lights show and has been deemed by NY Times as "one of the best lights show in the US." The attendance goal of 35,000 visitors, for year one, had already well exceeded expectations by mid-December, with over 46,000 visitors. Each zone has an overall theme which determines the mood of the music. A Pandora playlist is set up to play youthful music near the Christmas Tree Sculpture. A one of a kind audio piece was even commissioned exclusively for the Blue Tree. 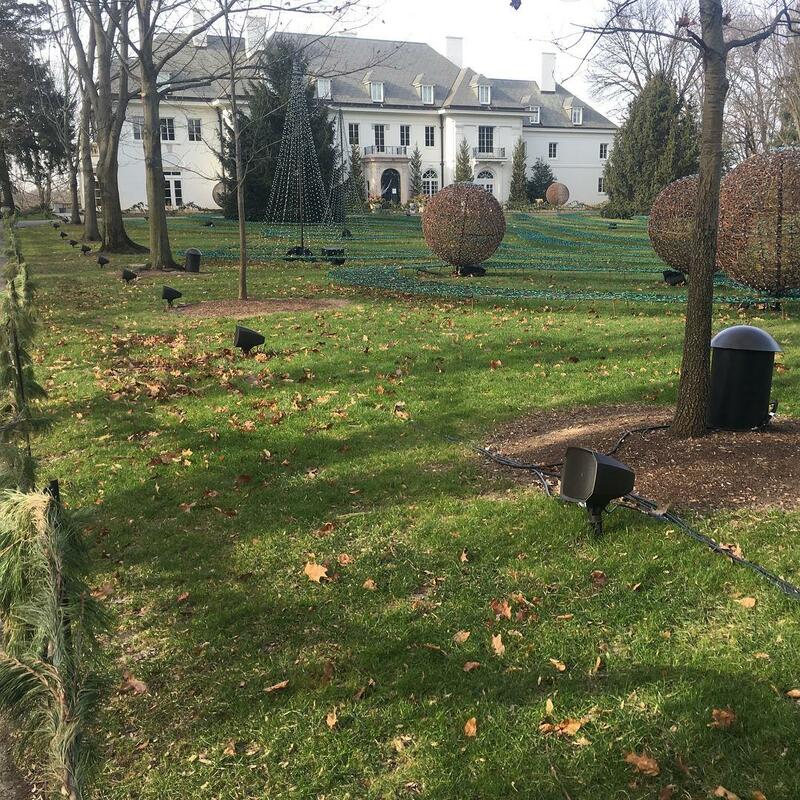 The decision to keep the speakers a temporary solution came from the IMA’s deep rooted interest in horticulture and preserving the gardens. Ultimately, a solution was reached to use a weighted base for the satellite speakers vs. staking them into the ground. Trey Fromme was the main designer of the entire experience. There are three separate zones running 70V: the Entry-way, Lilly House area, and Garden area. 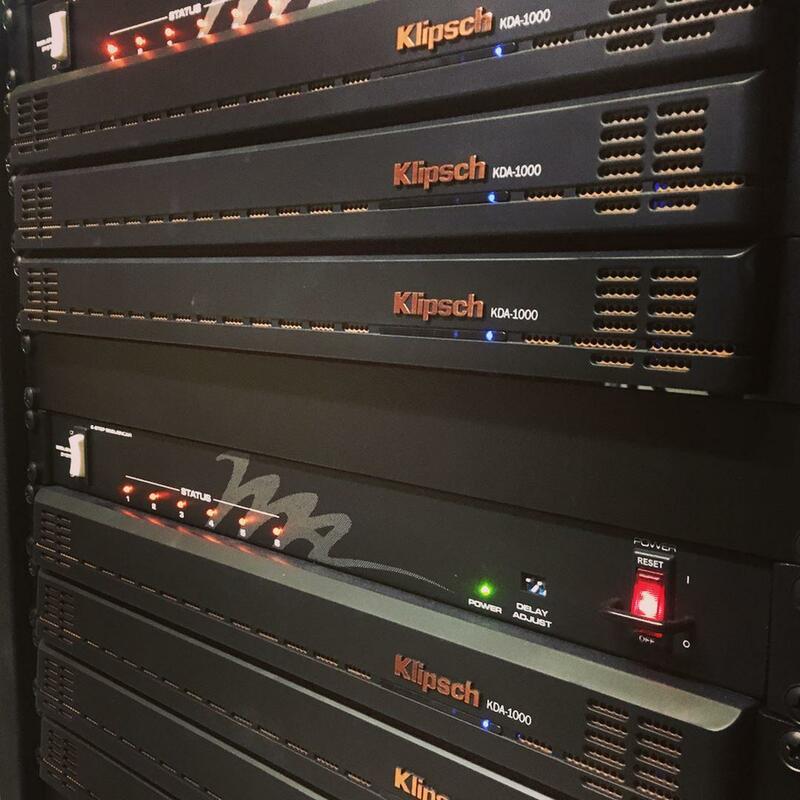 Here is a breakdown of the speakers and amplifiers running in each zone. The project has done so well, the intention is to reinstall Newfield’s again in 2019 and 2020. Future installations will continue to improve and expand twinkle lights and distributed audio throughout the grounds. Visitors have left a plethora of quotes, but perhaps its best to impart a couple of favorites, “A dancing lawn to lights and music,” and “Sounds just like Tchaikovsky.” Don’t believe us? Go see and hear it for yourself!